During his trip to Japan, Foreign Minister Ilkka Kanerva will visit Tokyo on Tuesday, 28 August, where he will have talks with Shotaro Yachi, Japan’s Vice-Minister for Foreign Affairs, and will meet with key member of the Japanese Diet, including Satsuki Eda, who was elected President of the House of Councillors following the recent elections. On 27 August, the day before Foreign Minister Kanerva’s visit, several new Ministers will take office in the Japanese Cabinet, including a new Minister for Foreign Affairs. The meeting of the two foreign ministers that had been planned will not take place, owing to the reorganisation within the Cabinet of Japan, but intentions are to arrange such a meeting in connection with the UN General Assembly in September. Aside from relations between Finland and Japan, the discussions to be held at the Japanese Ministry for Foreign Affairs deal with topical foreign policy issues, e.g. the security situation in Eastern Asia and developments in Russia. The Foreign Minister will also visit the Finnish Embassy’s new building project. 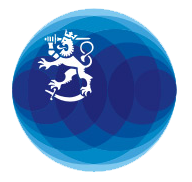 In Tokyo on 28 August, Foreign Minister Kanerva will deliver a talk on current challenges in the Finnish society at a luncheon organised by the Finnish Chamber of Commerce in Japan. Foreign Minister Kanerva was in Japan already last week, attending meetings of the IAAF, the International Association of Athletics Federations, and the 11th IAAF World Championships in Athletics that began on Saturday. Additional information: Press Attaché Juha Kirstilä, Ministry for Foreign Affairs, mobile tel. +358 40 552 8200; Minister-Counsellor Anu Saarela (Tokyo, time difference +6 h) , tel. +81 90 6038 2246.